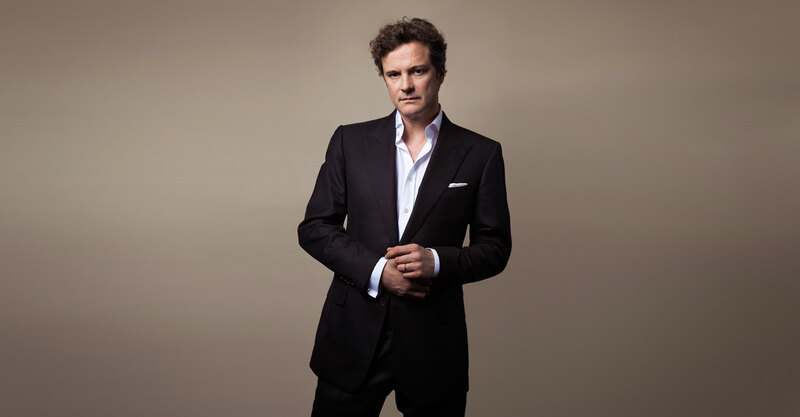 Mr. Firth, has Hollywood and the fashion world changed the way people approach beauty? Well, there was a time when a beautiful person was considered something fine and to be celebrated. Now a beautiful person is assumed to be shallow and flaky. If you are beautiful in today’s society, you are presumed to have no substance. I think a lot of talented and very bright people who are also physically beautiful have to work very hard if they don’t want to just lean on their looks. Well I’m just reporting on an observation which is interesting, I don’t really have the answer to that. I think there’s resentment, there is the feeling that you can’t have it all. I think the complexities of our own urban lives mean that there are opportunities for people who are not physically beautiful. I think it is rather expected that if you want to become a professor, that you don’t look like someone from Baywatch. And I think someone that has the mind of a professor and also looks like Baywatch would just piss people off because they don’t want them to have all of that. Being so often under the limelight, how much effort do you put into grooming and getting dressed? Well it’s been easy so far because I have someone who has dressed me right down to my socks. I think if you know you are going to get photographed you put some thought into it, but as much as possible I like to leave the decision to someone else. Well it used to be my wife, but then there are increasingly designers who offer you things and have great relationships with you and if you like what they do then it gets taken out of your hands. Because you concede that they know better? They say that youth is wasted on the young. Are there any regrets you have? I am very bad at those questions, I’m afraid, because it means you have to go through you entire life and try to pick something and I cannot possibly do that. Because I am an Englishman I spent most of my life in a state of embarrassment, so it is not really regret. I don’t regret anything very much. Philosophically I suppose I am quite good at believing that things lead you to where you are and that’s the way it is; you live with it and what has happened in the past is unchangeable. I consider myself very lucky in my life so there is nothing I would change really – but I do have a slight tendency to cringe at some of the memories. What are some of your goals? Are there unexplored characters you still want to play? Colin Firth stars as Prince Albert, alongside Geoffrey Rush as Lionel Logue in 2010's The King's Speech, for which Firth won the Academy Award for Best Actor. So you’re not a planner, you’ve never mapped out your career? Oh, god no. For a long time I wasn’t sure that I would even have one so there was absolutely no point in making plans. Well, let’s be more specific. Did doing a film like Mamma Mia! get the urge to sing out of you? Are you hoping it did? (Laughs) No, it hasn’t. I’m afraid this causes a lot of tension between me and the rest of the world, you know my enthusiasm for singing and the rest of the world’s enthusiasm for me not singing. I sang at my wife’s birthday the other day to cries of “less,” but I loved it. Was it difficult to convince her Italian parents that you are the right one for her? She brought home an Englishman. One problem right there. Nearly ten years older. Actor. I mean how many strikes do you need against you? They were very gracious to me, but it was not a good package to sell to the in-laws really. So there was a mountain to climb. I had to learn the language in order to make myself worthy. Coming from an academic family: do your own parents still remark on what you do, or have they become used to it by now? Have they ever tried to convert you to their side? I’d make an appalling academic. I have the attention span of a gnat. I think they quite like it when I play a role that they consider to be rather worthy of the profession, a role where calling yourself an actor isn’t an apology. It will inevitably be something Shakespearean that they consider superior as long as I don’t bugger it up. When I just prance around in Mamma Mia! or something like that, I’m not sure how they reconcile themselves with the son they produced.